As part of its ongoing commitment to cultural diversity and responsible banking, Union Bank join KCETLink to honor 12 inspirational individuals at the 16th annual Local Heroes Awards. 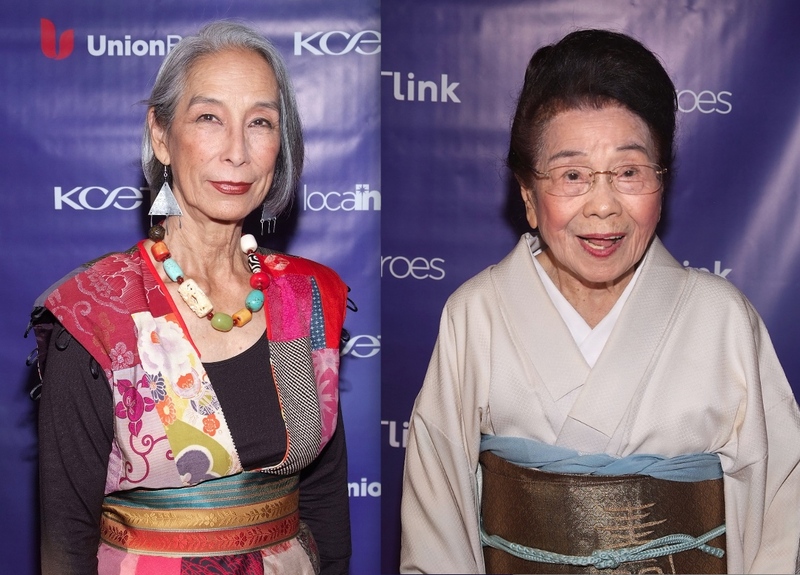 The honorees included Asian Pacific American community leaders Madame Sosei Matsumoto and Nobuko Miyamoto, who both received tributes for their dedication to making a difference and enriching the lives of others by improving their communities and the world. 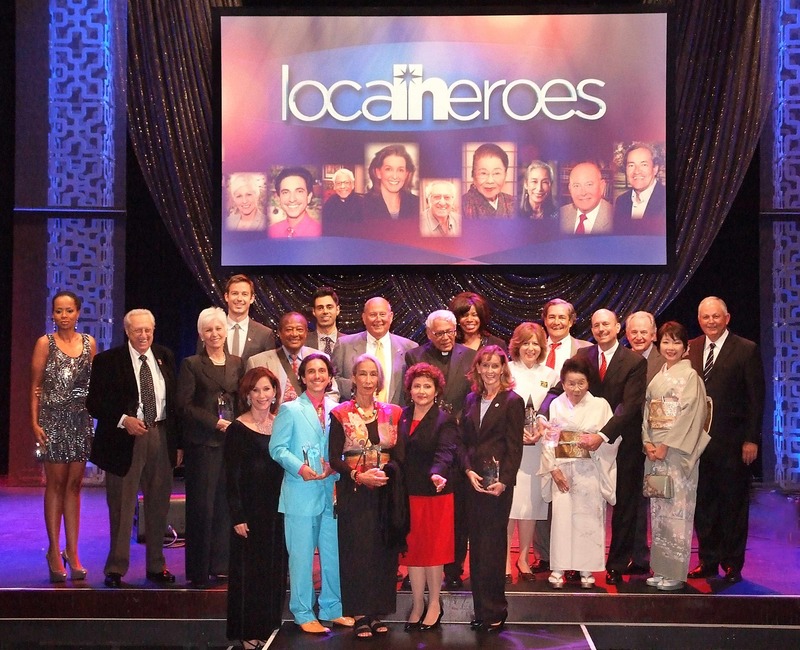 The 2013 Local Heroes Program, a year-long celebration of diversity, culminated with the awards ceremony held at Club Nokia at L.A. Live on Oct. 22, where recipients were formally recognized. The event will air on KCET on Monday, Nov. 25, and Thursday, Nov. 28, at 8 p.m.
An accomplished master of chado, or the “way of the tea,” Madame Matsumoto introduced tea ceremony to American culture after World War II and has instructed thousands of students. She has conducted chado ceremonies for diplomats and politicians, including President Harry S. Truman, Prime Minister Shigeru Yoshida and 3,000 other participants during the signing of the Treaty of Peace with Japan in 1951. Matsumoto received the title meiyo shihan, or honored master, the highest teaching certificate available for instructors, and she was the recipient of the Fifth Order of the Merit from the emperor of Japan. She was later named a National Heritage Fellow by the National Endowment for the Arts. Miyamoto is the artistic director and founder of Great Leap, a multicultural arts organization founded in 1978. It uses art as performance and creative practice to deepen relations among diverse cultures and faiths. Miyamoto’s experience in the performing arts spans more than 50 years. She has performed on Broadway and in such films as “The King and I” and “West Side Story.” She co-created the first album of Asian American songs, “A Grain of Sand.” She has taught workshops at universities, including UCLA and Columbia University Teachers College. In 2006, Miyamoto received the California Arts Council Director’s Award. In 2003, she received the Ford Foundation’s Leadership for a Changing World Award. Also honored were Angeles Echols-Brown and Richard Allen Williams, M.D., FACC, FAHA (Black History Month); Gail Farber and Belinda Smith Walker (Women’s History Month); Harry Corre and Janice Kamenir-Reznik (Jewish American Heritage Month); Thomas T. Carpenter, Esq. and Kalil Cohen (LGBT Pride Month); and Father Richard Estrada and Robert García (Hispanic Heritage Month). The evening’s presenters were: Yuko Aotani, anchor, NHK World TV’s Newsline; Rossina Gallegos, vice president and community outreach officer, Union Bank Foundation; Hasan Minhaj, comedian, host, KCETLink’s “Stand Up Planet”; Eric Wilson, assistant vice president and senior credit analyst, Union Bank; and Val Zavala, anchor, “SoCal Connected.” The show was hosted by actress Tempestt Bledsoe. For more information about the Local Heroes program, or to nominate a 2014 local hero, visit http://unionbank.com/heroes. The 2013 Local Heroes awardees and presenters.